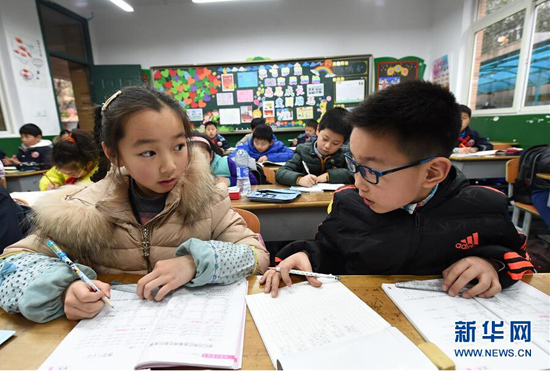 The "3:30 pm issue" is faced by many parents in Nanjing, the capital of Jiangsu province, as their children's school days end much earlier than their own working days. A flexible school time program aimed at solving the problem won a thumbs-up from Minister of Education Chen Baosheng on the sidelines of the 13th National Committee of the Chinese People's Political Consultative Conference in Beijing on March 3, 2018. The program also won recognition from the country's Ministry of Education at the end of last year for having offered an effective solution to the "3:30 pm issue". Riding the wave of school days becoming more flexible at local campuses, such as the pick-up time being prolonged from 5:30 pm to 6:00 pm in 2018, the Nanjing municipal education bureau announced recently an upgrade to the scheme that offers more convenient services to both students and their parents. 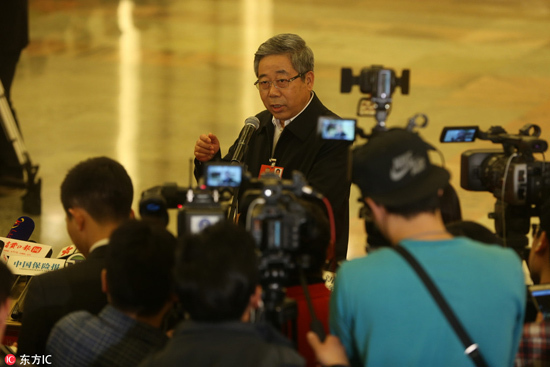 "Aside from doing homework and reading extracurricular books, we encourage schools to carry out diversified activities in science, sports and arts," said Zhang Limin, deputy director of the bureau. The official suggested schools seek support from the public for these new extracurricular activities, such as hiring college students and teachers, retired officials and teachers, and parents to help. Jinling Primary School has taken initial moves by offering on-campus classes in orchestral music, dance, chorus singing, calligraphy, Chinese painting, basketball and aerobics. "My child practices calligraphy free at school," said a parent of a third-grade student. "It's a good way to practice both his handwriting and patience. I will give a thumbs-up if the school charges in the future, as it's really convenient and has solved a big problem for me." Sheshan Xincheng Primary School in Qixia district, which has provided roller skating, pottery and Peking Opera classes to students, said it will insist on charging no fees. Students there enjoy 40 to 60 minutes every day attending various extracurricular activities before heading back to their classrooms to finish their homework. The district education department has also provided solid financial support, with some 3 million yuan ($444,932) put in place in 2018 and an extra 1 million yuan already available this year. Statistics show that roughly 96,000 students benefited from the scheme in 2018, growing over 60 percent yearly and reaching a satisfaction rate of 95.7 percent. The municipal education bureau said the enhanced version will be carried out at more than one-third of local primary schools and hopes to cover all campuses by 2020.